Our searchable database holds more than 1,000 variables relevant to insurance underwriting on over 28 million small businesses, reducing time spent researching. Fenris' application tools reduce the amount of personal information that has to be manually typed into a form, increasing data accuracy and the likelihood the user will complete their application. LicenseSnap makes filling out an application a breeze. 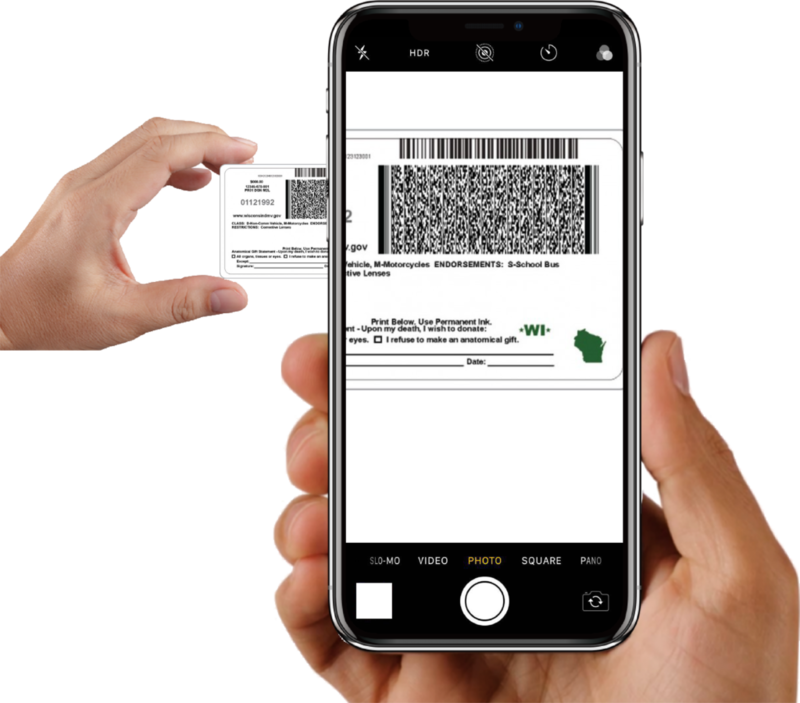 The applicant takes a picture of their driver’s license and LicenseSnap reads the identifying information to populate the form. Paired with an Application Fill append of data, an entire application can be completed without any manual data entry. LicenseSnap reads the information from the driver's license barcode and enters that information into the application for the user. Shorten your application form to make it easier for site visitors to complete your application. LicenseSnap can serve as the input for a search into our database of over 240 million individuals, returning the information required for your application. LicenseSnap can be branded specifically to you so the consumer never feels as if they are being sent away from your site. The Fenris Underwriter Dashboard brings the relevant information an underwriter needs to make their decision to bind a Commercial Small business policy, and presents it in an easy-to-read dashboard. One window for the information underwriters need to make their decision, enabling more policies to be reviewed, and written, every day. The Underwriter Dashboard pulls from over 1,000 data elements on Small Businesses to ensure the data you see is relevant and helpful. A simple and informative format to get data to you as quick as possible.